OmegaOne manufactured this special 1″ BHJS with Class 3 threads and lock wire. United Thread Standards are used to define the machining of threads. The standards cover many different aspects of threaded products, including products OmegaOne manufactures. There are three primary classification categories used. OmegaOne manufactures primarily Class 2 threads which are call for on with our standard product. 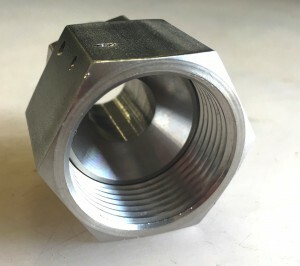 Class 2 threads are the most common, the level to which OmegaOne fittings are manufactured to as standard. 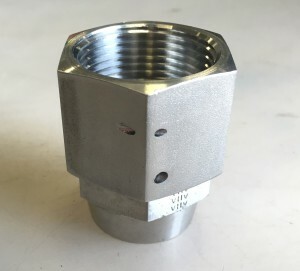 In some occasions, Class 3 threads are used in manufacturing when tighter tolerances are required. A customer recently requested a standard BHJS fitting with a few special modifications. 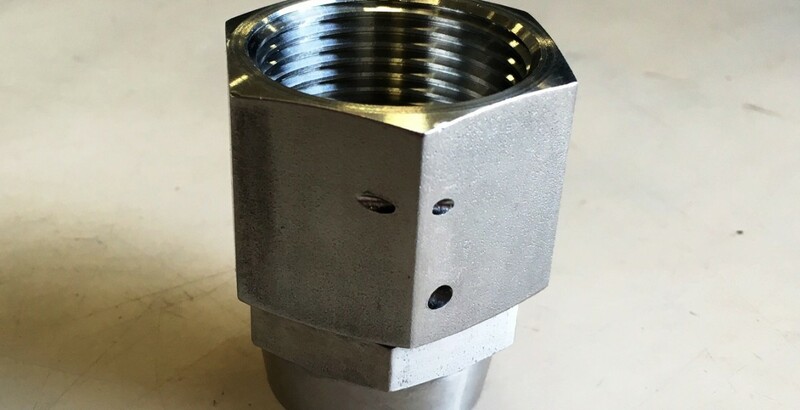 This BHJS fitting was manufactured to a Class 3 threads as well as incorporating a lock wire to incorporate an additional level of safety. Contact the OmegaOne sale team today for help to construct your special fitting needs!